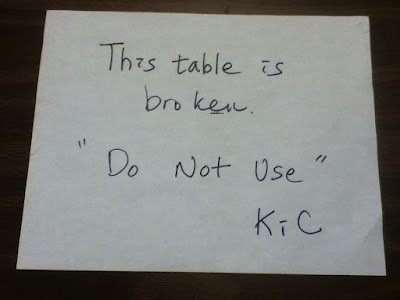 The “Blog” of “Unnecessary” Quotation Marks: or, uh, use it at your own risk? Yeah, we'd love to see you try to use this broken table for something. Why don't you line up some cream pies and banana peels? Thanks Vanessa.